Transitioning into warmer and warmer weather means switching out the boots and wool socks for sandals and flip flops. But for the days and times when we still need to wear socks with our shoes, it's important to have the best socks for warm weather. Because, correct me if I'm wrong, nobody likes sweaty feet. Which is why breathable socks are a must. I mean, many of us make sure to choose the easier and breezier fabrics for our tops to help reduce underarm perspiration when it's hot out, but feet need love too. Especially because this is one of the more dangerous areas for sweat to accumulate. If too much sweat is trapped on your feet for too long because your socks or shoes don't allow enough oxygen to pass through, it could actually lead to some pretty uncomfortable situations. That dark, warm, and damp environment is pretty ideal for bacteria and fungi to grow and thrive. Which means that your feet could develop skin rashes, yeast infections, athlete's foot, fungal toenails, and warts. Yikes. 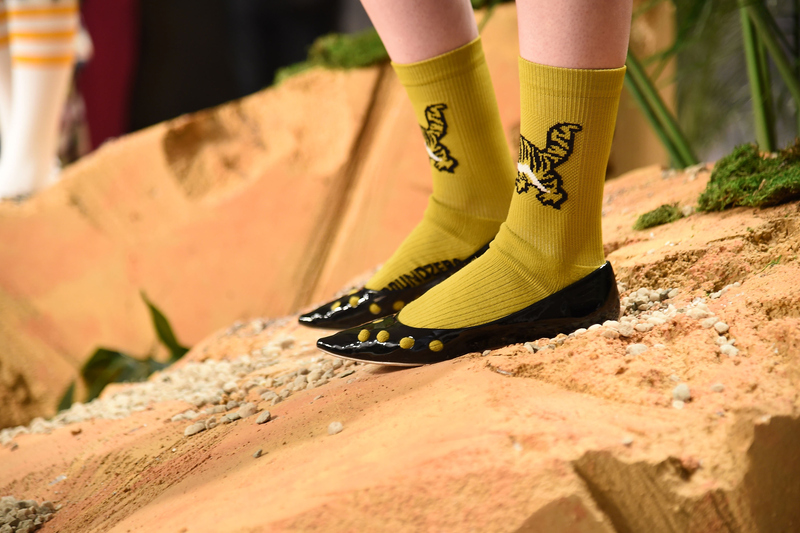 So to make sure your feet can breathe better on days when socks are a must, here are seven of the best pairs to sport when the weather is warm. Surprisingly, cotton actually isn't the best material when it comes to breathable socks. While it does absorb perspiration well, it still traps it against the feet instead of keeping feet dry. Although it might seem counterintuitive to prefer synthetic fibers, the blend in this pair works wonders for wicking moisture away from the skin so feet stay dry. Coolmax technology helps manage moisture while the mesh polyester gives these socks maximum breathability. These socks feature ventilation channels and merino wool to keep your feet warm in the winter and cool in the summer. The Signature Moisture Transport System of these socks ensure that moisture is quickly wicked away and dried to keep feet cool. Bamboo fibers, like the ones found in these socks, have thermal-regulating properties and are way more absorbent than cotton. Mesh venting in these runner's socks help with air circulation so feet stay cool and dry even when you're working up a sweat. Coolmax plus CatalystAF technology means not only is moisture wicked away to keep feet cool and dry, but this design also creates airflow within the fabric so skin is better able to breathe. Remember for the most dry and comfortable feet, it's not just up to your socks. Make sure to choose breathable shoes as well. If you're worried that you may be developing a foot infection, talk to your doctor or podiatrist to find the best solution for you.